The All-new Hyundai Tucson SUV has a 1 August on-sale date, bringing new dynamics, design, refinement and value to the Australian medium SUV segment. Re-imagined from the ground up, and priced from a highly competitive $27,990 MLP, the All-new Tucson is the global successor to the highly popular ix35. Longer and wider than ix35, All-new Tucson moves up to the ‘Medium SUV’ category in the Federal Chamber of Automotive Industry’s (FCAI’s) vehicle classification, thanks to its larger footprint. It is 65mm shorter than a Mazda CX-5, for example, yet has more front and rear leg and hip room and 85 litres more boot space with the rear seats in place. 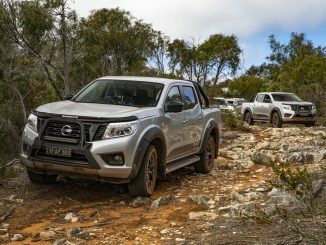 This ambitious, high-tech vehicle sets its aim squarely at Australia’s medium SUV class leaders. All-new Tucson combines a sleek, sporty new look with new technology and convenience features and high-tech safety equipment. Customers also benefit from exceptionally high standards of refinement and NVH (noise, vibration, harshness) suppression. Inside, All-new Tucson is larger in all key dimensions – its interior is roomy, uncluttered and ergonomically advanced. All four trim grades are well equipped and, in keeping with Hyundai’s Modern Premium philosophy, interior surfaces and controls now use high-quality soft-touch materials and finishes. All-new Tucson boasts a stiff and safe body structure that ensures enhanced levels of occupant protection and exemplary dynamic responsiveness. The four-tier Tucson range offers front-wheel drive or all-wheel drive, four engines and three transmissions. Significantly, Elite and Highlander models adopt a retuned version of Hyundai’s Gamma 1.6T GDi engine – the potent direct-injection turbocharged powerplant shared with its Veloster SR coupe stablemate.